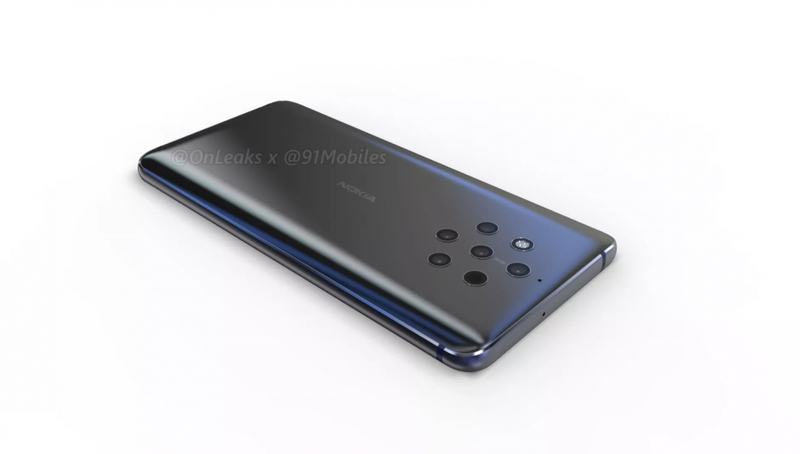 New renders of the Nokia 9 seem to confirm Nokia's plans of a penta-lens camera setup. 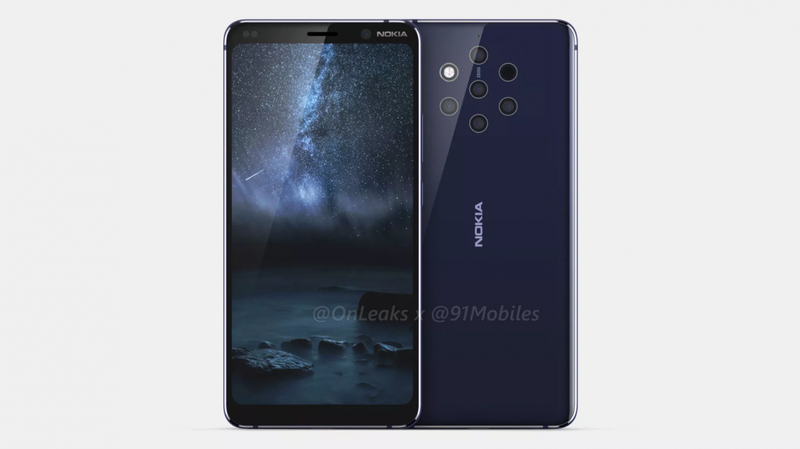 The Nokia 9 is expected to be HMD Global's first PureView-branded Nokia phone, wherein the special emphasis will be on the imaging prowess of the device. The Nokia 9 is also likely to sport a 5.9-inch QHD display and possibly an in-display fingerprint sensor. We've been hearing in bits and pieces about HMD Global's upcoming flagship, the Nokia 9. The Nokia 9 is said to sport premium flagship features and is said to mark the return of the iconic PureView branding with the inclusion of not one, not two, not even three but five cameras at the rear. 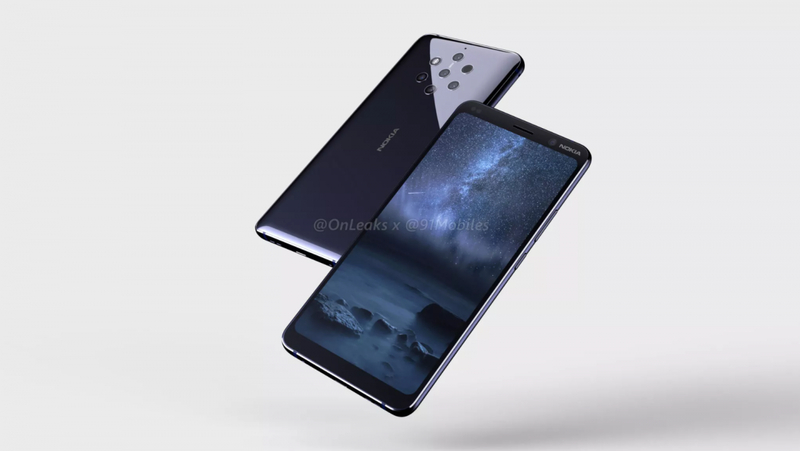 Image renders and a 360-degree video of the Nokia 9 have now surfaced on the web giving us an idea of what to expect in terms of the phone's design. The highlight of the Nokia 9 is obviously its purported penta-lens camera setup. 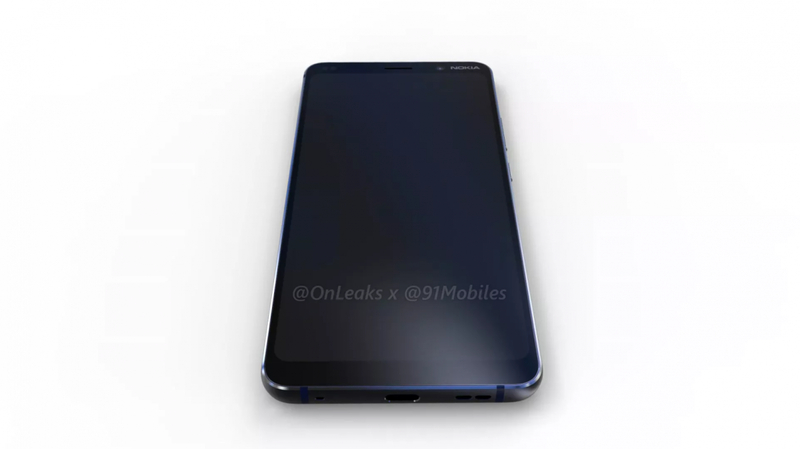 According to renders via 91Mobiles, there are seven rings at the back — five of them are camera lenses, one is a dual-tone LED flash, and the other is likely to be a proximity detection sensor. The camera setup is likely to be comprised of a telephoto lens, a wide-angle lens, and a depth-sensing lens among others. All lenses appear to be Zeiss branded. There is no PureView branding on the renders yet but it is safe to assume that this will be HMD's first PureView phone. The Nokia 9 is expected to sport a 5.9-inch QHD 18:9 display with narrow bezels. The overall dimensions of the device are 155 x 75 x 7.9 mm. Above the display, we see a single front camera and a couple of sensors. There's no indication of a fingerprint sensor on the rear so in all likelihood, the Nokia 9 will sport an in-display fingerprint sensor in accordance with rumors so far. There's no headphone jack to be seen but there's a USB Type-C port. The right houses the power button and volume rockers while the SIM tray is now at the top. The top edge has a secondary microphone integrated into the antenna line and another noise cancelling microphone can be seen at the rear. The Nokia 9 was earlier reported to launch by 2018 end but is now expected to be officially unveiled during MWC 2019. Despite a 2019 launch, the handset will still be powered by the Qualcomm Snapdragon 845 SoC and not the upcoming Snapdragon 8150. The same was the case with the current HMD flagship, the Nokia 8 Sirocco, which sported a Snapdragon 835 while other flagships of the time were already shipping with the Snapdragon 845. Other purported specifications include 8 GB RAM, 128 GB storage, a 4,150 mAh battery, and dust and water resistance. 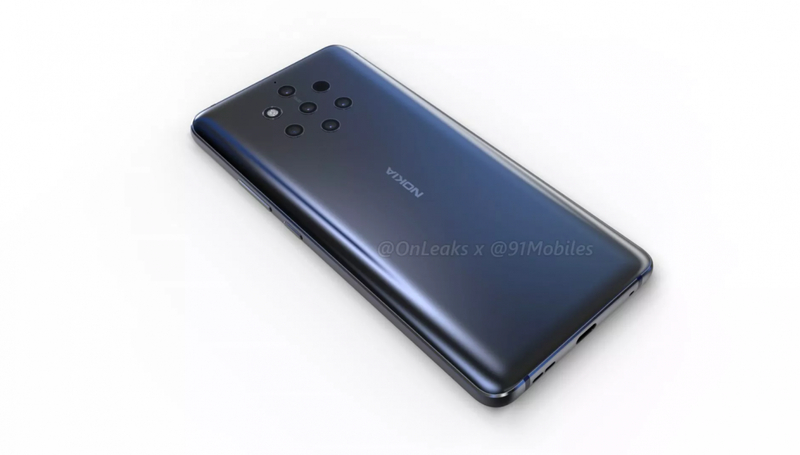 Another report from LoveNokia claims that the upcoming Nokia 9 PureView is codenamed 'Olympic' and has been spotted running Android 9 Pie on the FIH update server with build number 00CN_4_030 and the November security patch. Gauging by the build number, it seems that this could be a Chinese variant. A tipster going by the name Nokia anew tweeted that the Nokia 9 will take 'phenomenal photos' and that HMD will begin a 'New Era of PureView'. It remains to be seen what imaging innovations HMD will be bringing to the table with the Nokia 9 but we hope that they don't disappoint.